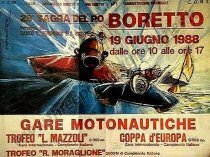 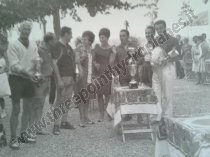 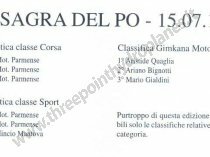 Promoted by some enthusiasts and Pro Loco of Boretto Po, in 1961, the first gymkhana was attended by about twenty riders such as it stood two who would later become famous: Ercole Aliani and Leopoldo Casanova. 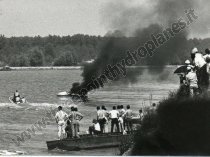 The race was included in the context of a larger event whose maine event was, in fact, the powerboat race. 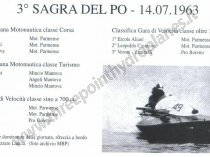 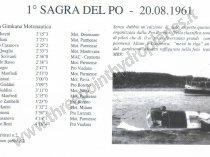 Thus was born the "Sagra del Po" that from the third edition other than the gymkhana, it also added a speed race.